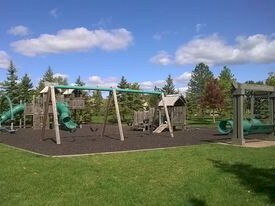 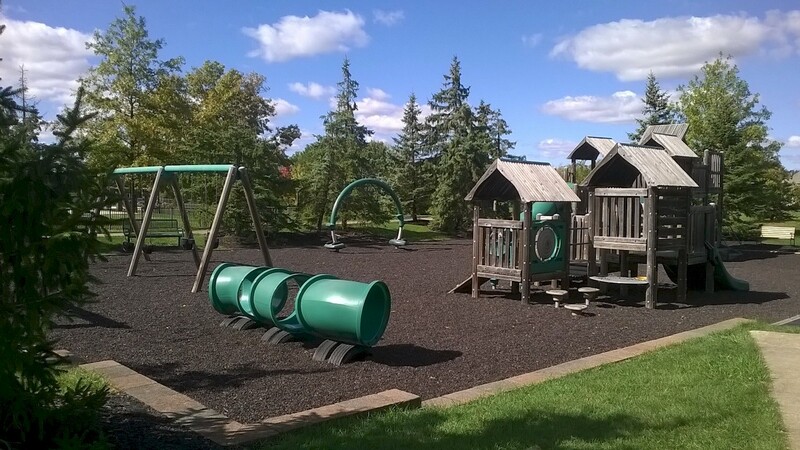 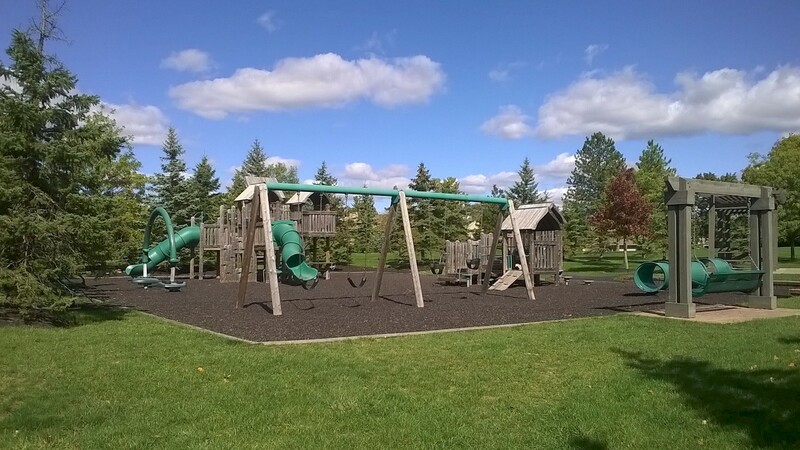 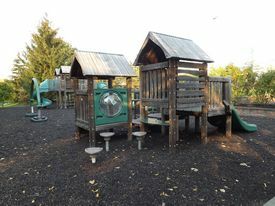 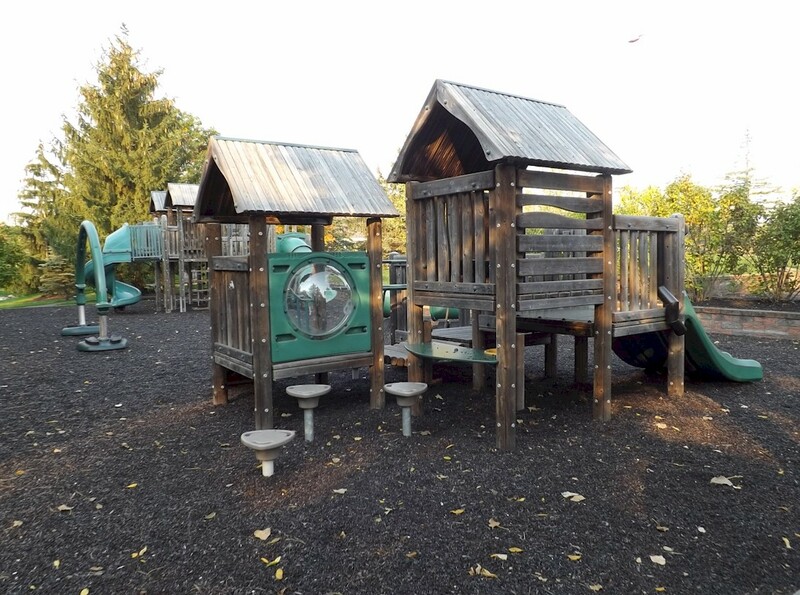 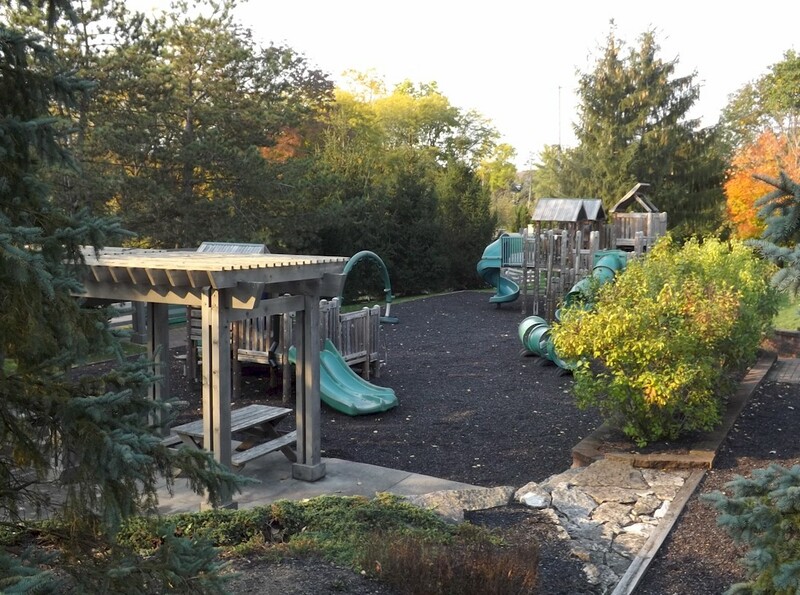 Muirfield Village Playgrounds - Muirfield Association, Inc.
Muirfield Village has two playgrounds, one located at Holbrook Recreation Complex and the other at the Glick Road complex. 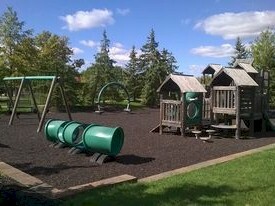 Both boast state-of-the art, interactive play equipment. 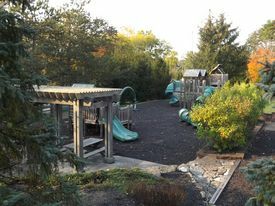 The age-specific play equipment, designed for 2-5 year olds and 5-12 year olds, sit on mulched rubberized surfaces adjacent to the fenced pool areas. 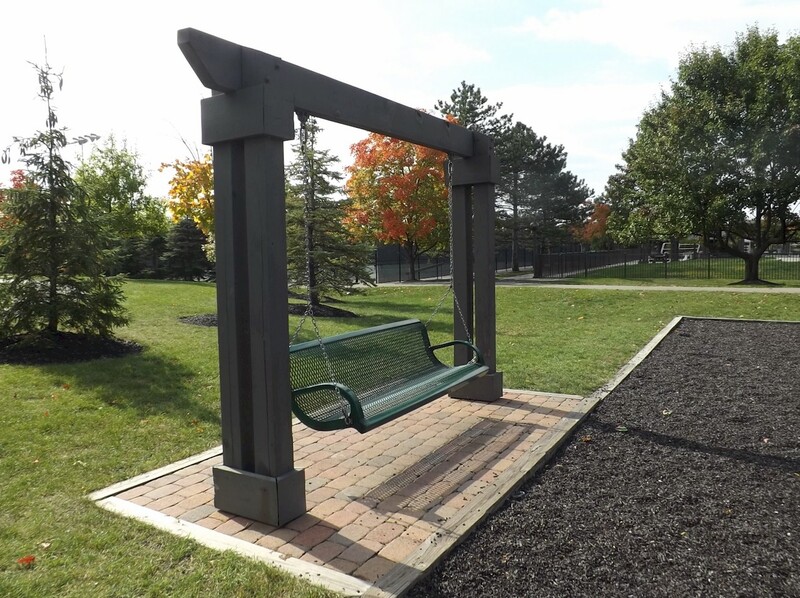 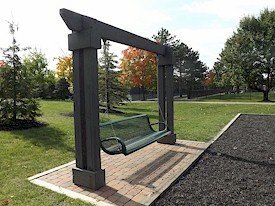 Adult swings at both playgrounds allow adults to relax while the children play. 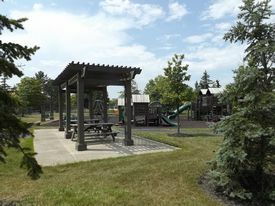 Picnic tables are located at both facilities. 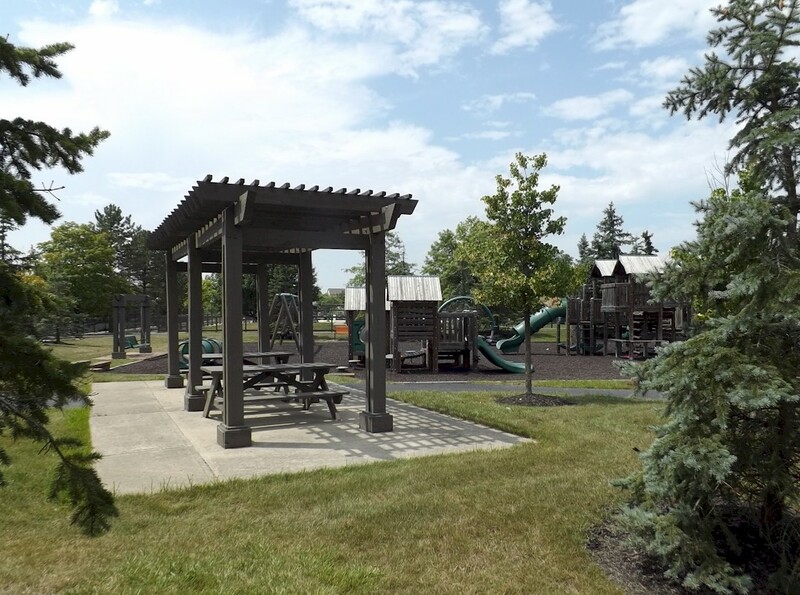 Restrooms are available seasonally at both pool facilities.